I guess people have forgotten that Zod was the one villain (not including Doomsday) that Supes actually killed in the comic so it’s not like there wasn’t precedent. Now personally, I think it would have been better if Superman had covered Zod’s eyes and that had resulted in his death somehow (sort of like when he blocked Darkseid’s omega beams in the last episode of the Superman animated series). But really, Zod’s actions can be related at that point to “suicide by cop.” He essentially forced Clark to kill him and Clark, since he was so inexperienced and without any other way to deal with the problem while people’s lives are at risk, did what had to be done. If this results in Superman making a vow to never allow himself to be put in that kind of a situation with no other way alternative again, then all the better. It allows it to be a major character growth moment. Well said Brock, and thanks again for the compliments. 75 years of idealism and virtue in storytelling from our first and greatest superhero is really fueling some intense moral debate about that final act. It’s still jarring to me, but I’m coming around on it after reading a boatload of editorials and reviews of the film, like yours. I still think it leaves things on a down note, and what I’m really struggling with — and Marc and I discussed this after seeing the film together — is that we as an audience are robbed of a truly heroic, inspirational moment from Superman during the climax of Man of Steel. Leaving the obvious disregard for people’s safety during the final battle (that could fill an entire separate article) aside, there is just no moment where Superman “saves” the city or does something incredible in front of masses of citizens, so they can react with hope and awe and wonder. The film needed a big rousing moment where Supes performs a heroic act of sacrifice in front of throngs of people. Perhaps if there was still the threat of the world engine decimating Metropolis *after* Zod is killed, then Superman triumphantly destroys it amidst tears of joy and relief, things wouldn’t have felt so grim. Brock, I’m glad we agree on Zod’s death. I thought it was an excellent, albeit unexpected, approach. It really developed Superman’s moral struggle between Earth and his people. When it happened, my wife said, “That’s it? We couldn’t do that 20 minutes ago?” And as I thought about it, no, we couldn’t. Superman had to be pushed to the very limit of his morality and in that point, he knew what he HAD to do, not what he could do, or what he should do, but what he HAD to do, and like you said, it broke him. He immediately wept at the loss of his heritage, even when it was in the form of Zod. I thought the movie was excellent, though I also am not sure about Amy Adams as Lois, but I can roll with it. 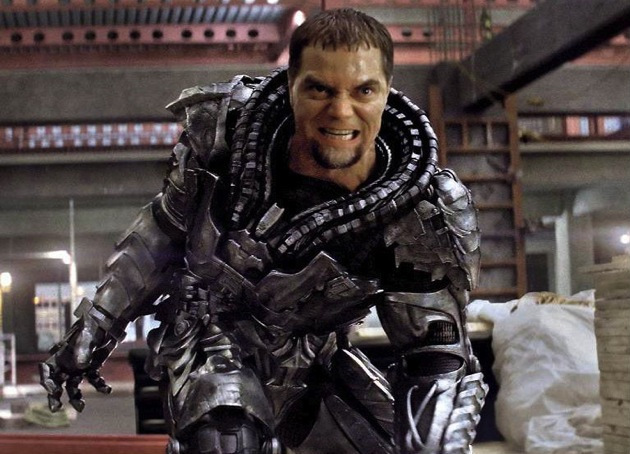 I’ll also say that I guess my image of Zod was always more of a stoic, but I really appreciated this rage-filled, polar opposite to Superman, and the dynamic it placed between them as the situation developed. And toward the end? Cavill looked a little Reeves-ish. Just saying. I like your perspective on this matter, Brock. While I do not love this film, Zod’s fate is not one of the things that bothers me about this movie. I’d like to think, going forward in the franchise, this act will weigh heavily on Clark and help galvanize him into the true hero we all have come to know. The more I think about that moment, I can’t help but juxtapose it in my mind against the other big choice he made earlier in his life, the choice to not save Jonathan Kent from the tornado. His choice with Zod was very similar. This time he chose not to hold back. He chose to stop the storm in the only way he knew how so that no more innocent lives would be lost because of his inaction. I believe his cry after the act was not so much a cry for the loss of his heritage, which, by the way lives on in his own cells, but a cry of birth. Before that moment he was merely Clark Kent searching for his identity, then, despite wearing the cape, he was only Kal El struggling to reconcile his two worlds. Now he is a man who knows who he is and what he is capable of, knows what he can do when pushed, and knows what he must not ever allow himself to do again. Now Superman is born. Your comments remind me of an old quote. Had he not shown grief or remorse over what he’d done, then he’d be no better off than Zod. But, he did. He did something he did not WANT to do, but HAD to do. Which brings to mind another old quote. The big worry that I have is Hollywood and their reputation. They’re well known for taking something bright, shiny and wholesome and making it something so scarred and tainted its hard to see the original image underneath.